Welcome to Pop Culture Disorder, the podcast where the pop culture obsesses host, Kurt, dives in to a topic, researching topics and giving you the best/worst/maniacally awful pertaining to that topic. 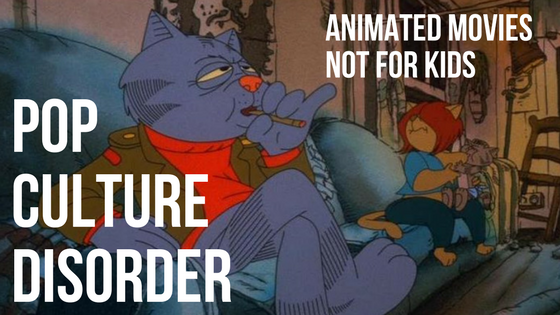 In the inaugural episode, Kurt looks at animated movies that while perhaps marketed to children (or perhaps not) are definitely not safe for kids to watch! iTunes and Google Play coming shortly. Be happy and hip to find this before the others do.